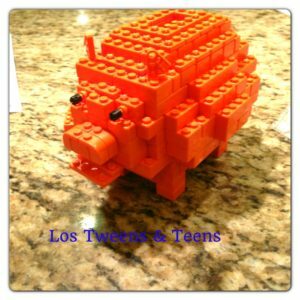 Los Tweens & Teens was provided a small budget to initialize orders on VirtualPiggy.com. However, all opinions are certainly our own. Do you provide your kids with an allowance of some sort? My husband and I do as we like our girls to learn about managing a budget, going to a store and sticking to that budget. But I was surprised to learn that American kids get a hefty $780 per year in allowance, on average, but almost none is saved according to a recent TIME Magazine article. We also require them to save money for bigger items they would like to purchase as well as consider donating some when their school has a special chartity drive or program. But venturing into online shopping for the tweens..hhhmmm?? I don’t know about you- but I do enjoy online shopping for certain things. And when it comes to my girls, they’re always glued to my shoulder overlooking anything I’m attempting to buy and giving opinions the whole time! Given the complex check-out processes for most online retailers, I had NOT given thought about giving them online freedom to just spend and use my credit card. In comes Virtual Piggy– a fun new platform that brings together all of these financial learning lessons under one umbrella platform and it’s all COPPA compliant – that means that it’s an approved website for children. According to the creators, Virtual Piggy empowers kids and teens to be money smart, by giving them the digital tools and parent safety boundaries to responsibly manage, track and spend their money. Virtual Piggy offers an online family wallet, budget tracking dashboard and kid-safe online storefront that protects a child’s privacy and lets them shop online under the limits a parent sets. It was uber easy to use and FREE! It shows kids the budget they have and then they are reminded to make a purchase that stays within the budget plus shows their savings! There is an option coming soon for giving- that’s great! There are easy budgeting and financial messages that pop-up on the right- and the kids read them! Parents receive an email to approve a purchase before it’s complete. You’re watching their spending but you don’t have to monitor them while they’re browsing. Give it a try. A good conversation can be started about budgeting and learning about online shopping. A super fun opportunity that ends soon is Claire’s and Virtual Piggy delivering a summer blockbuster promotion! When you make your first purchase on Claires.com and checkout using Virtual Piggy, you’ll get a free ticket to the One Direction movie “This is Us”, opening August 30th. If you have tween girls in your house- they’ll LOVE you for this one!! !